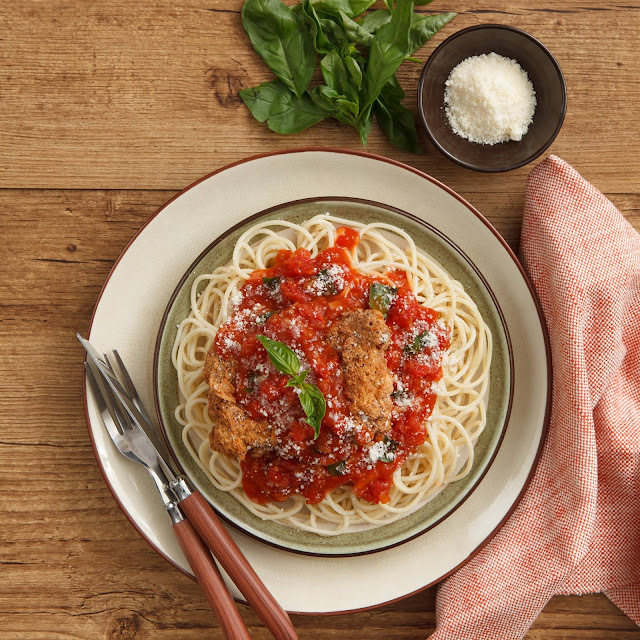 Have a taste of Italy with this 100% Sure-Sarap recipe for Chicken Parmigiana. It’s a hefty meal, perfect for the hungry hubby! 1. Dredge the chicken thighs in Del Monte QNE breading then egg and breading again. 2. Fry then drain excess oil. Set aside. 3. In a separate pan, heat oil and sauté onions and tomatoes. 4. Add the Del Monte Spaghetti Sauce. Simmer for 5 minutes. 5. Pour the sauce on top of the chicken and top with parmesan cheese and basil.